about this book: The battle of Culloden proved to be the turning point for Jacobite sympathizers. Many Scots left the country forever. But some stayed. Edan Campbell MacGrough has pregnant women and children to care for. His lame leg can be a shield, one he detests using. Daracha chose him when he never thought to have a woman. The hatred his brother's widow bares him is a burden he has borne for years. The move they must make to Glasgow changes more than their status as Highlanders. And there are wolves in the Lowlands as vicious as any in the hills. 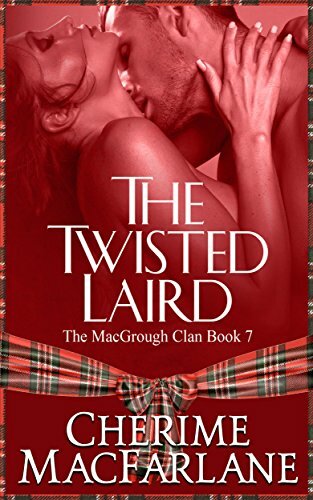 This is part of the MacGrough Clan series, but this book can be read as a standalone. Reissued. I love history. It didn't hurt that I married a Weegie boy. We went back to visit several times. Scotland always called to his heart. Children and life kept us here. But talking with his family and visiting kept homing instinct under control. The MacGrough clan series is a labor of love for me. P.S. The tartan is MacFarlane dress. • "The story is so real you can imagine the characters and setting with ease..."
• "Very rarely does a book pull me in so completely."